John Orford studied in Manchester with Charles Cracknell, and at the Royal Manchester College of Music with William Waterhouse where he was awarded the Hiles Gold Medal for Orchestral Playing. After 18 months in the Bournemouth Sinfonietta he joined the BBC Symphony Orchestra, where he remained for eight years. In January 1982 John was appointed Principal Bassoon with the London Sinfonietta, and in September 1984 he was made Professor of Bassoon at the Royal Academy of Music and the Guildhall School of Music & Drama. 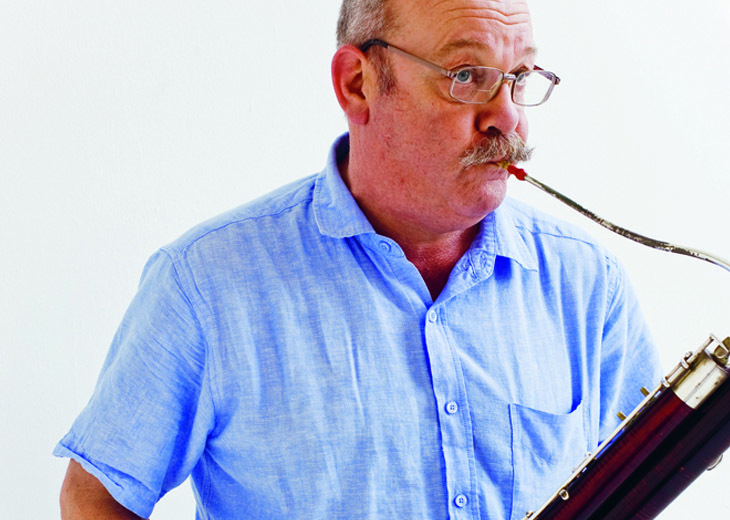 As well as appearing as principal bassoon with all the major London symphony orchestras, John has performed for many television and film soundtracks, including the bassoon solo on Geoffrey Burgon's soundtrack to the classic TV series Brideshead Revisited. He has performed much solo and chamber music, including the Mozart Bassoon Concerto with the London Virtuosi and the Strauss Duo Concertante with Michael Collins and the London Sinfonietta. John's seminal performance of Anna Meredith's axeman features on the fifth disc in the London Sinfonietta label's Jerwood series, which was released on 16 June 2009. See our Recordings page for more information. Another version of the piece was also released as part of the Sinfonietta Shorts series.